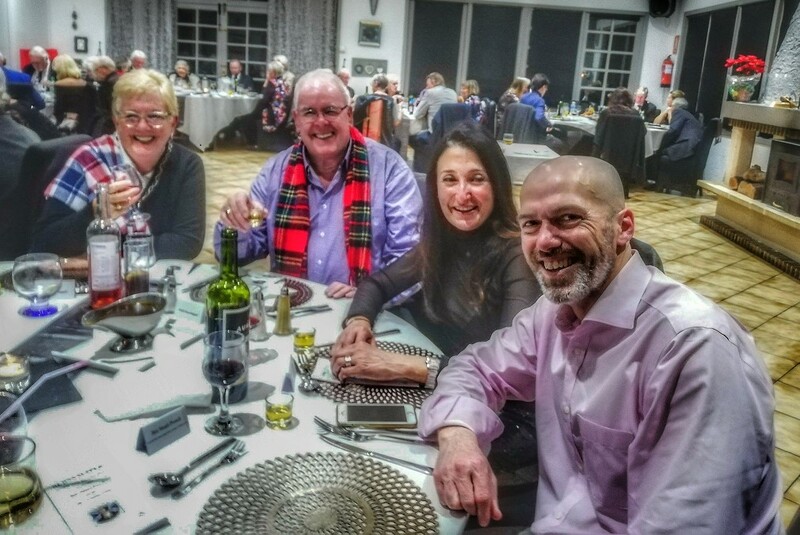 The guest were all invited to join in the spirit of the evening by wearing something tartan and after gathering for a welcome drink in the bar they were called to supper promptly at seven-fifteen by the Master of Ceremonies and piped to table by the Piper in splendid highland dress. The Selkirk Grace was offered by W.Bro. Norman Barrall, after which the guest settled down to large bowl of hot soup. 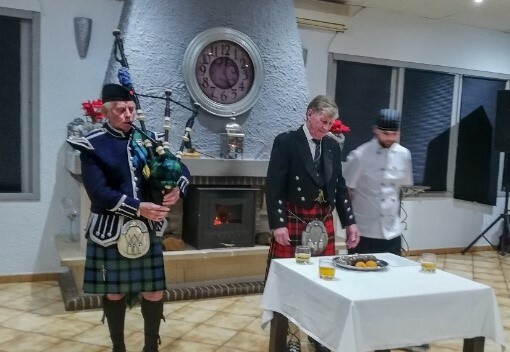 The Haggis was traditionally piped-in and dutifully addressed by W.Bro. Clifford Gingell. After a most excellent supper the toast to the Immortal Memory was given by W.Bro. Bill McLauchlin. The Toast to the Lassies was given by W.Bro. Clifford Gingell and a reply on behalf of all the ladies was given by Mrs. Pam Mclauchlin, to the delight of all. Following Supper, all enjoyed an evening of dancing provided by the disco of Bro. Colin Pearce.